​The principal purpose of the Edward J. McFetridge American Inn of Court is, as that of the English Inns of Court has been for centuries, to inculcate and cultivate the best qualities of the great trial advocates: honesty, courage, industry, judgment, eloquence, wit and fellowship. It is also to accomplish these things while developing personal relationships with our fellow members and learning new skills and techniques from each other. And it is to do all of these things in an atmosphere of good fellowship that makes the whole process fun. ​Our Inn of Court, originally known as the San Francisco American Inn of Court, was started in 1989 through the efforts of District Judges Charles Legge and Thelton Henderson and a number of prominent local trial lawyers, including Richard M. Sangster, a past national president of the American Board of Trial Advocates, and Ronald H. Rouda, a past president of the California Trial Lawyers Association. During his term as ABOTA president, Sangster had been instrumental in getting ABOTA to assist financially in the American Inns of Court movement as it was just getting started in 1985. His interest in the movement continued and led to the formation of the San Francisco Chapter. The Chapter was a success from the outset. Judge Legge was the first president and Judge Henderson the second. The Chapter has an approximately equal number of members in each of its three active membership categories: Masters of the Bench (judges and lawyers with 20 years or more experience), Barristers (lawyers with 8-20 years experience), and Associates (lawyers with 7 or fewer years experience). Recently the Inn has added two new categories of Master Benchers: Masters-Emeritus and Masters-At-Large. Membership in the Associate and Barrister categories lasts three years. Master Benchers may remain members as long as they wish. In 1991, one of our prominent Master Benchers, Edward J. McFetridge, a superb advocate and boon companion of us all, died at only 59. 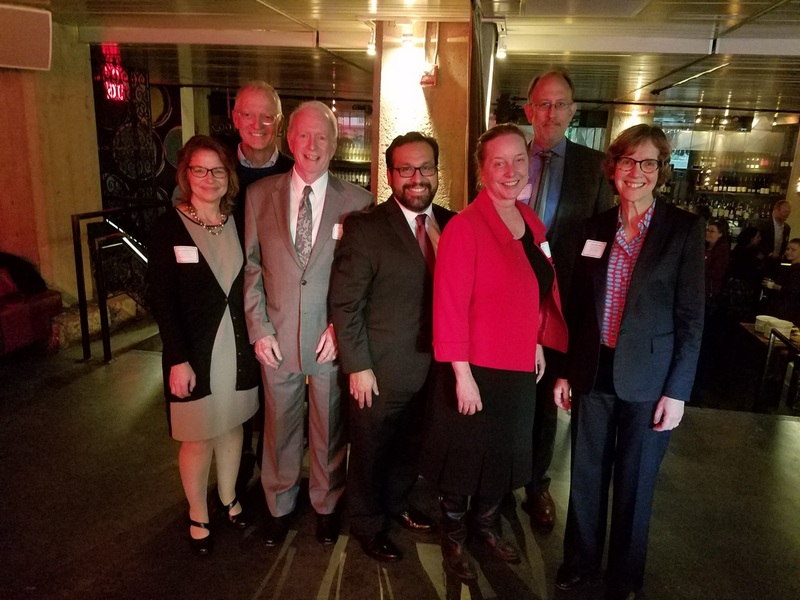 Within a few months, the Chapter's executive committee (its officers) and its membership voted unanimously to change the name of our Inn from the San Francisco American Inn of Court to the Edward J. McFetridge American Inn of Court.